Using a UnionBank EON card is one of the easiest ways to encash PayPal funds in the Philippines. This is why it's the preferred card for a lot of Filipino freelancers and professionals who work online. 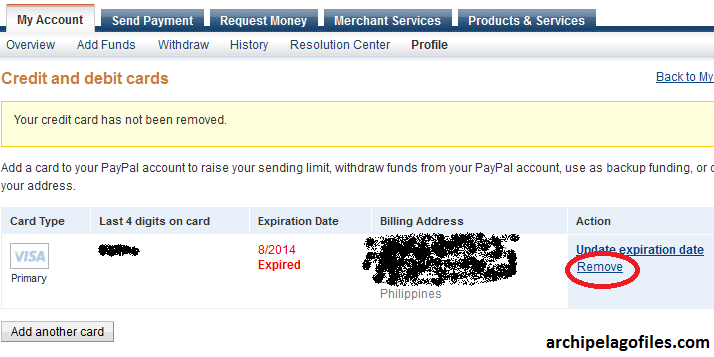 If you don't have an EON card, it will be very difficult for you to transfer your PayPal funds to your bank account. Before you can transfer money from your PayPal account to your EON account, you need to connect and verify the accounts together. Here's a tutorial on how you should do it. If you are an online worker, it's highly recommended that you avail of an EON card. It's one of the easiest and most convenient ways to encash your funds from Paypal. All you need to do is connect your PayPal account with your EON card. Step One: Make sure that your card is still active and has not expired. Keep in mind that the EON card has a validity period of only three years. If it has expired, you can renew it by following the steps in a tutorial we wrote. Whether you got a card for the first time or you just renewed an old one, the steps are basically the same with minor differences. 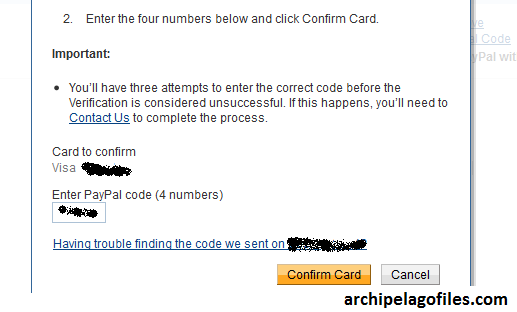 The steps below are for updating your PayPal account with your renewed card. 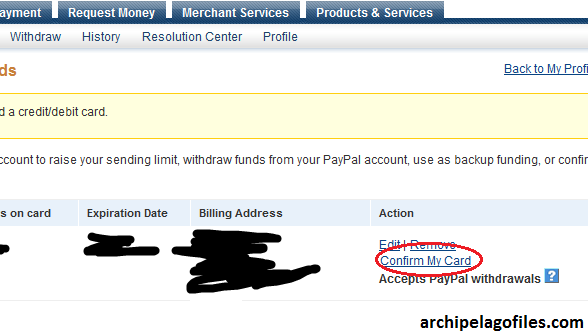 Step Two: Log into PayPal, go to Profile, then Add/Edit Credit Card. Because the old card has expired, you will have to remove it. Step Three: Add the details for your new card by filling up the new form as well as entering the new number and the expiration date. You also have to enter the card verification number. This is the three-digit number which you can find at the back of your EON card. Simply copy the last three digits there. Then click on Add Card. 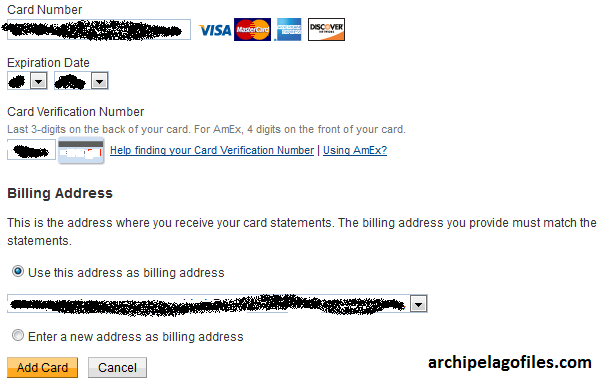 Step Four: You will now have to confirm the card by clicking on the option that says "Confirm My Card". Before you do this, make sure that you have at least 200 pesos in your EON card as you will be charged about $2. That's equivalent to about 100 pesos but to make sure, just put 200 pesos in your EON account. Step Five: To be able to confirm, you need to log into your EON online account, go to "Deposit Accounts", view the last 10 transactions and find the one that looks like the one below. It can take between 1 to 3 days for the 4-digit code to appear in your UnionBank online transactions records. Once they appear, look at the four numbers similar to the ones encircled in green below and copy them. These are the numbers you are going to use to verify your PayPal account. Step Six: Log into PayPal. Go to your profile, and enter the verification code and you are good to go. The $2 that was charged from you will be reimbursed back to you within 24 hours after you've verified your account. So that's how you verify your PayPal account to connect it with your UnionBank EON card. The whole process can take three days at most. If you have any questions, feel free to ask in the comments section below. Thanks.